Since the summer house was removed in early spring, we’ve been left with a good amount of space to play with. I always knew the summer house was taking up a lot of space, not only the floor area of the house but the negative space behind it as it was placed across a corner. We’ve now acquired around 5×5 metres. I don’t plan on doing much in the area other than having some plants to screen from the fence and then area for seating and a small table. I had coppiced the willows to allow for easier access to the fence, as a result we now have lots of fresh growth which is providing some nice screening, I have also planted two clematises on the fence… Sadly one looked very dead after moving it – I lost a lot of its rootball as I pulled it up. It did produce some new growth but continued to look very unhappy. 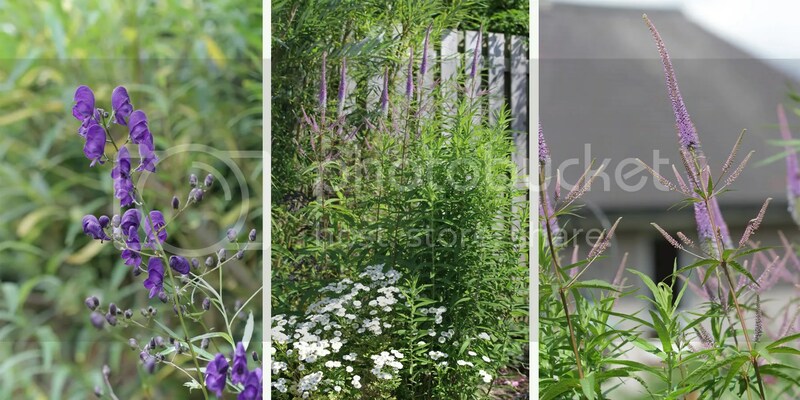 I planted some Veronicastrum and Sambucus ‘black lace’, I also intend to add some of the Flat-topped Aster from a different border… I just need to have a look whether it’s easy to dig up or whether I’ll end up killing it all! Lol. I’m not very good at propagating and stuff. I wanted tall plants which would tower over and also seclude the upper tier nicely. Because it’s at the top of the garden and almost on the same level as our first floor windows it can feel quite over-looked – and it is why I never used the Summer house and decided to get rid of it; although it was pretty, it just wasted a lot of space. The Black elder will get large, but I plan on flooring it every year so it forms a nice shrub without taking over. I hope it will look nice juxtaposed against the willow and Acer; there will certainly be plenty of contrast between them! 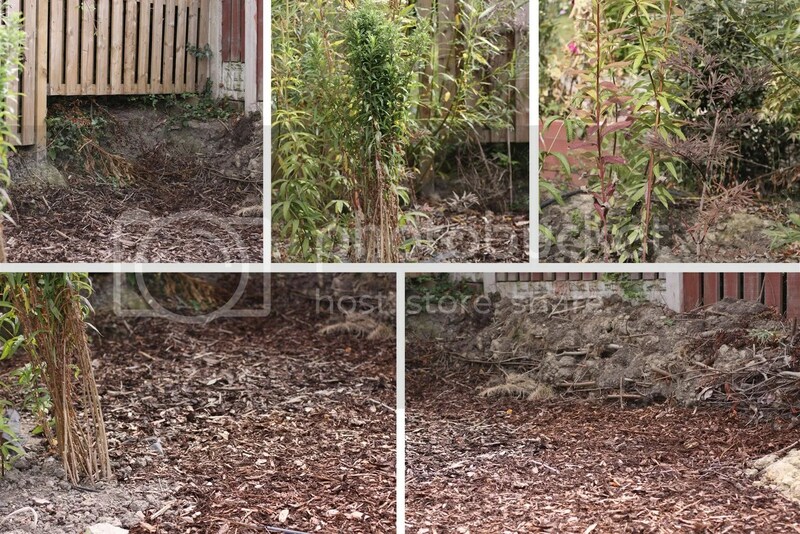 We are yet to decide how to stop the soil and chippings falling down the slope to the lower tier… At the moment it is a terrible eyesore, and we’ve been looking at various different hurdles but they’re all so twee, and just not me. I had considered buying some large rocks/stones and using them but they don’t match anything else. 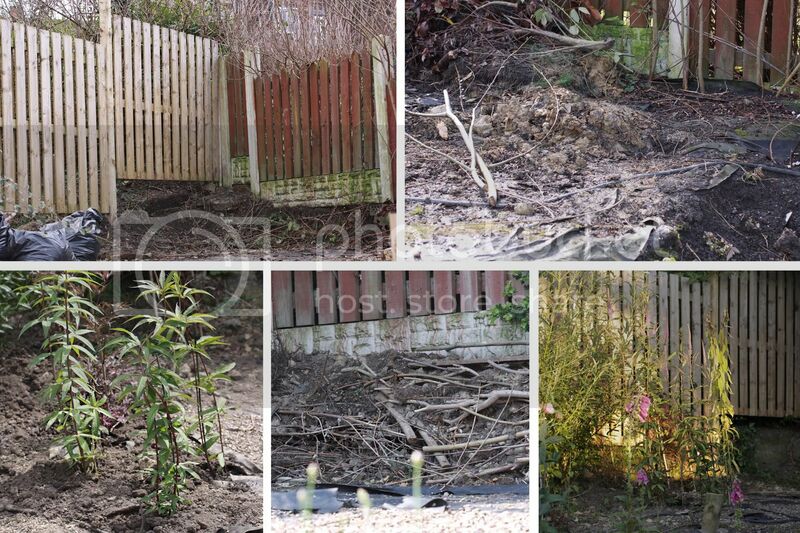 I think I will simply use wood lengths in keeping with the rest of the garden. Progress was slow on the tier; I never intended to work quickly with it. It was so dry that I couldn’t do anything anyway. I added some Aster and spread some bark. The plan was to move lots of Foxglove seedlings up and the Monkshood from down in the ‘new’ border. I made a mound from soil, pulled up turf and branches. The aim is to provide habitat for insects and such which over time, will decompose the branches for me. I just need to tidy it all up a little. 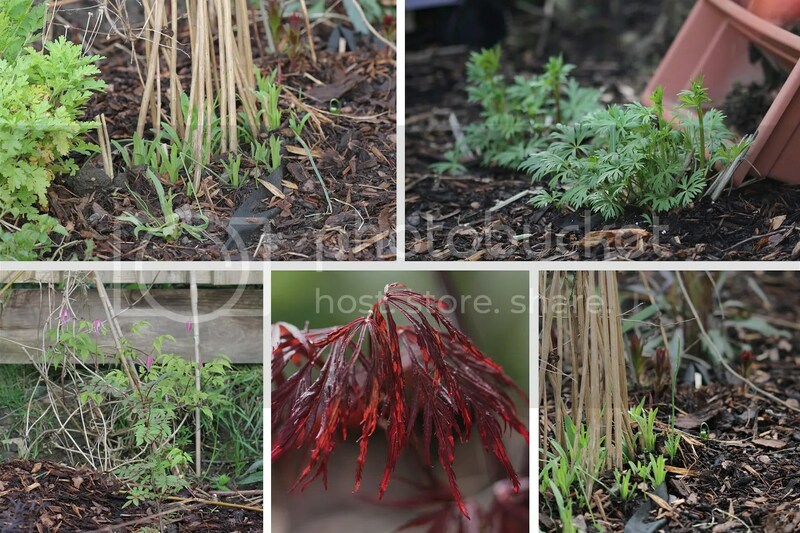 Plus, Monkshood and such will be planted in front of it and hide its ugliness. I added an Acer ‘Garnet’ which has been grafted onto some sort of rootstock and is supposed to only reach 1.5m rather than the 3m that I’ve been seeing on the internet. I then added a Sorbus Forestii, which will be a relatively small tree of around 3m and have lovely pink white berries. The Upper tier is still a work in progress; the Asters I planted last year have done well and are screening the tier well from the house. I need to coppice the Willow again as its branches tend to lean too much and there’s a little pocket where I haven’t really planted anything. So for 2013 I’m going to move things around so there’s more of a solid screen along the tier. I added a few extra plants – mainy climbers to cover the fence, but also some Geraniums, Bird’s Foot Trefoil, Campanula and Anemones to name a few. There are also some Shasta Daisies, that I plan on removing because they flop too much and look very ugly – plus I have a large patch already in the Aster border. 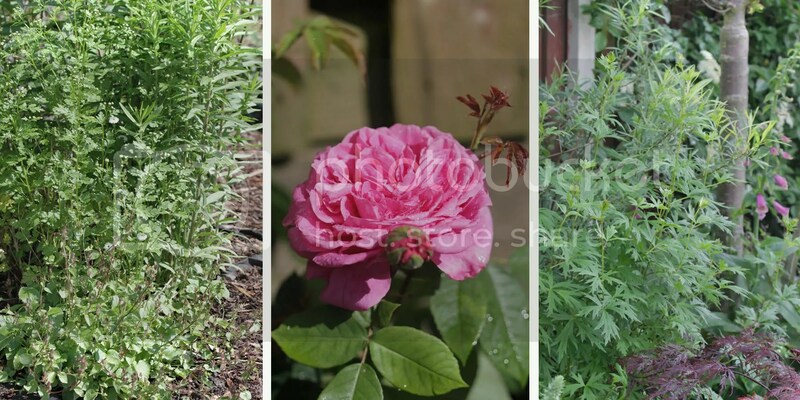 Growth early on in spring, showing: Asters, Aconitum, Clematis and Acer ‘Garnet’. This is the upper tier’s first year of new growth and things start off well. Over the coming months I add various plants such as Campanula, Gertrude Jekyll rose, a couple of Clematis’, Teasel and some Anemones. The plants have bulked up nicely, however I have plans to move a few things around for 2013 as well as coppicing the Willow back hard.